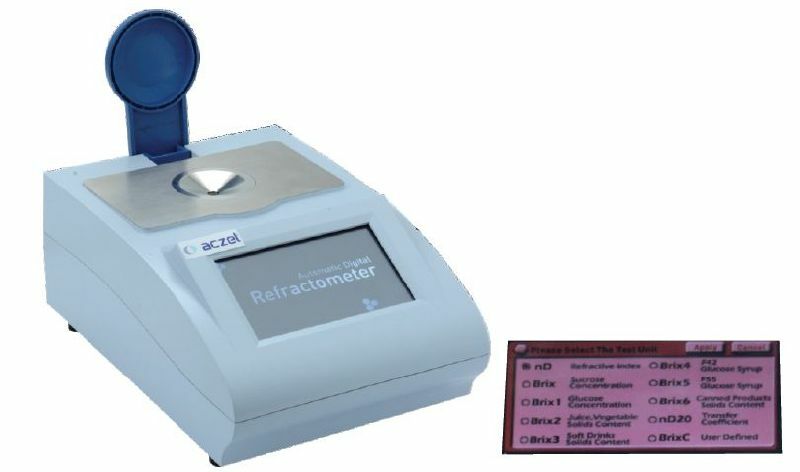 Digital laboratory refractometers from Aczet are setting new benchmarks on many counts. An intuitive touchscreen presents a clear overview of all dataand functions and the integrated SQL database stores all data and allows external access via a network or standalone PC. There fractive index can be a parameter in quantitative or qualitative analysis and quality assurance. Degrees of polymerisation can also often bemonitored frequently, quickly and costefficiently without turbidity or the colour of the sample affecting measurement precision. 7.0” TFT LCD Touch Screen Display. The sample is simply placed on the measuring prism and the measurement process starts. The flat stainless steel plate is easy to clean and is highly resistant to aggressive substances. As the refractive index depends on the temperature of the sample. The CRM-Z series is available with integrated electronic temperature control by means of a Peltier element. This type of temperature control is faster and more reliable, It is possible to carry on using an existing thermostat control.